If you are off work sick for seven days or less, your employer should not ask you for a doctor's certificate. You will need a medical certificate if you are off work sick for more than seven days. The seven days include days that you don't normally work. So when you work out how long you've been off sick, you should include weekends and bank holidays. Your employer can ask you to confirm that you've been ill. You can do this by filling in a form yourself when you return to work. This is called self-certification. These dates may be days that you don't normally work. For example, your sickness could start or end on a Saturday, Sunday or bank holiday. Many employers have their own self-certification forms. If your employer doesn't have their own form, instead they may use an SC2 form from HM Revenue & Customs – Employee's Statement of Sickness. Click HERE to download a template self-certification form. If you are sick and off work for more than seven days, your employer will normally ask you to provide a medical certificate from your GP. When you need a certificate will also depend on your employer's company policy on sick leave (or sickness absence). This policy should tell you how many days you can be off sick before you need a note. A medical certificate note must be signed by a doctor. The Fit Notes mean your GP can give you advice to help you return to work. This is because work can play an important part in helping people to recover from illness on injury. The GP can either say you are not fit for work, or can say you may be fit for work. The GP will choose the option for may be fit to work if they think that returning to work – with support from your employer – will help you. There is also space for the GP to give advice to your employer about the impact of your illness or injury and can suggest common ways in which your employer can help you return to work such as allowing you to work part time or temporarily or by changing your duties, for example, if you have back pain, avoiding heavy lifting. Fit notes are also sometimes called doctor's notes, sick notes, medical certificates or doctor's statements. If you have seen a doctor at the practice regarding the problem you need a medical certificate for (or we have received a letter from the hospital about your sickness) you many not need to see the doctor again. You can complete a fit note request form at reception, which will be passed to the doctor to review. The doctor may also be able to speak to you on the telephone depending on how well they know you and why you are off work sick. If you have not seen a doctor at the practice and we have had no information from a medical professional about your illness, you will not be able to get a certificate without an appointment. 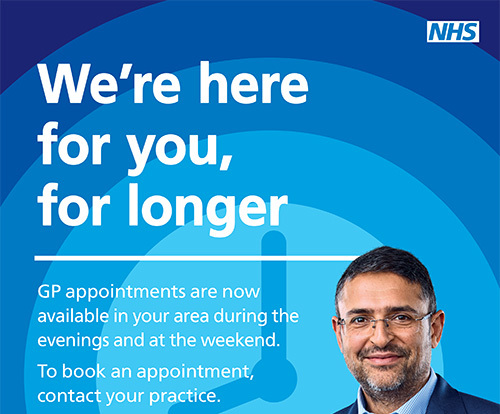 Please book a routine appointment; urgent appointments are only provided for genuine medical emergencies and not for the purpose of certificates. In either case there are rules governing the issue of sick certificates and the GP may not be able to supply one, depending on the information you provide. If you are under the care of a hospital, your certificate may be issued by the hospital, rather than by the practice. There is usually no charge for providing a fit note if you are off sick for more than seven days. Some employers may request a fit note (e.g. from employees who repeatedly take time off sick) even if they are off work for seven days or less. This is a private non-NHS medical certificate. For sickness of seven days or less, a charge of £10 is payable in order for us to provide a certificate. If your certificate runs out, but you are still sick, you will need to consult the doctor again before you can get a further certificate. Fit certificates can be back-dated so it is not necessary to make an emergency appointment to renew your certifiate. If you attend an emergency appointment for the purpose of getting a medical certificate you will be asked to rebook. INDEX - How Do I? Please use our eConsult online portal to consult our doctors online.